The stacked Log Periodic Dipole Antenna (Stacked LPDA) consists of two ordinary Log.-Per. structures. The excellent characteristics (flat gain over a large bandwidth, low SWR) of the ordinary LPDA designs could be maintained using the stacked LPDA design. 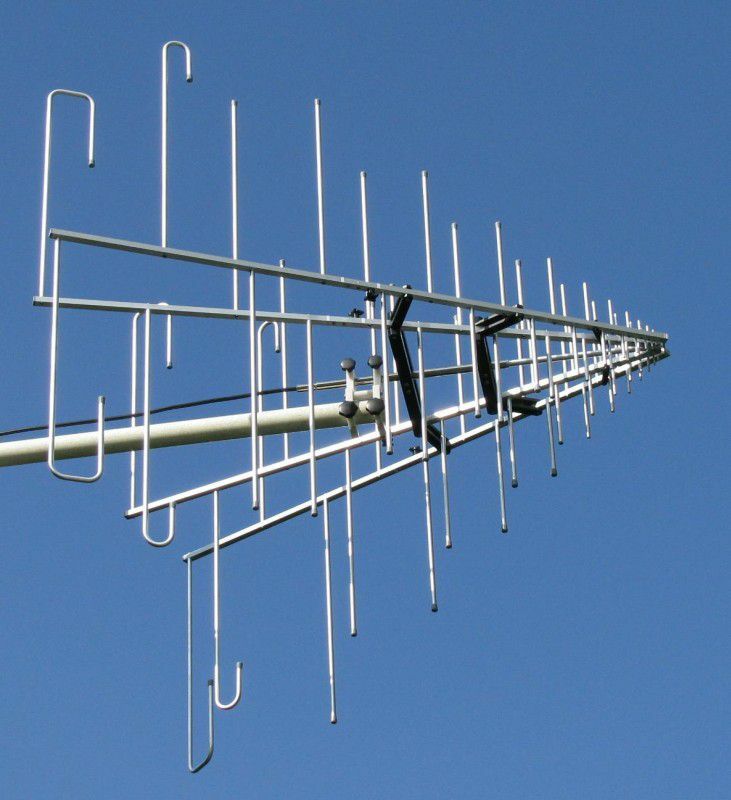 The stacked design helps to focus the directional pattern of the H-plane somewhat, resulting in a typical gain improvement 2.5 dB compared to an ordinary LPDA Antenna. This is especially important for immunity testing, where a maximum fieldstrength and a good field uniformity is required. The beamwidth in the E-plane and the H-plane are nearly identical, providing an optimised illumination of the EuT with minimised ground reflection influence. The fastlinks allows to disassemble the rear elements without any need for further tools within a few seconds. These fastlinks divide the antenna into five parts, which can be stored and transported easily. fastlinks for quick removal of the rear parts of the antenna. Generation of defined fieldstrength levels for immunity testing with good field uniformity and limited space.